Investment portfolio management software, also known as wealth management software, tracks and manages investor portfolios. These solutions are used by investment professionals to build, track, and manage their clients’ investment portfolios. Investment portfolio management software includes communication tools to facilitate client investor communication and is designed to be used by investors, financial advisors, and their clients. Solutions in this category often contain investment tracking, investment accounting, reporting, client communication tools, investment analytics tools, and more. Investment portfolio management software allows advisors and investment professionals to maintain a holistic view of their activities on behalf of their clients, aggregating all relevant data and offering tools to aid in investment analysis. Investment portfolio management solutions often integrate with accounting solutions if they do not provide built-in accounting features. Solutions in this category also connect to third-party sources to import market data. 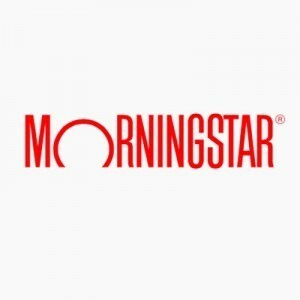 Investment Portfolio Management reviews by real, verified users. Find unbiased ratings on user satisfaction, features, and price based on the most reviews available anywhere. LearnVest is a program for your money. LearnVests mission is to make financial planning affordable, accessible, and even delightful. Our cloud-based investment analysis platform is built specifically around the workflows of asset managers and financial advisors to help position and market products, construct portfolios, analyze investments, and connect with investors. 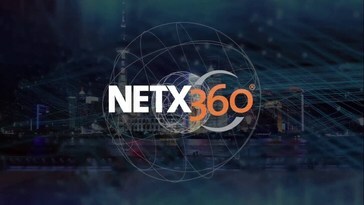 NetX360 provides the technology to efficiently manage your business from CRM and client onboarding to operations and reporting. Advent Portfolio Exchange is the integrated portfolio and client management solution that puts everyone in your firm from executives to portfolio managers to operations on the same platform and on the same page. Manage equity investments, fixed income investments and investment funds, from within Microsoft Dynamics GP. Improve visibility into your financial investment activity and get an accurate view of your investment portfolio's performance in real-time. AccounTrex is a portfolio and back office management system that truly automates trade matching across different accounts and account types, such as all DVP, Prime Broker and Cash accounts within a fund. This allows you to boost profits by focusing more on trading, and less on back-office issues. Addepar empowers investors and advisors to navigate the increasingly complex world of investment management. No matter your financial profile or specific investment needs, Addepar fits the goals of your business. Fiserv (NASDAQ: FISV) is a leading global technology provider serving the financial services industry. Advisory Alpha delivers comprehensive asset management services to our independent advisor partners as well as individual investors and retirement plans. Datafaction services the needs of business managers, family offices and sport management firms that offer pay bill and accounting services. Designed to provide portfolio management teams with the most flexible yet secure modelling and decision-making platform. You no longer have to choose between flexibility and data security to make informed decisions. A readymade functional solution for brokerages. Backstop's Portfolio Management solution was designed to provide funds of hedge funds and private equity fund-of-funds managers tools to effectively run their business. Croesus actively listens, learns and engages with them to develop technology solutions that are innovative, flexible and secure. CXi-Registry is a fund administration software that makes running investor registry easy, fast and secure. Streamline and automate your back office. Our Stock Portfolio Tracker makes it easy to track the performance and analyze all of your investments in one place. Designed to optimize operational and investment alpha throughout the entire investment process. Designed for Family Offices, Wealth Advisors, Stock Brokers, Fund Managers & Private Bankers. Import the Broker Contracts and view Family Portfolio in a single click. No extra work. No spreadsheets. Instant Graphs show Mark-To-Market Reports by Asset Class, Family Member, Scrips. Drill Down to the individual lots. Includes full accounting : prepare P&L & Balance Sheet for each Family Member. For India : Automatic Breakup of Long Term and Short Term, Income Tax calculation. FA Platform provider investment management software solutions for Asset Managers, Private Banks and Family Offices in the Nordic countries. FinFolio has embraced an expanded definition of portfolio management that includes reporting, rebalancing, trading, billing, a mobile-ready client portal and all other elements of your back office, integrated into a single platform. The FPM System is suitable for a wide range of investment management and investment accounting operations. FundCount's portfolio & partnership accounting software tracks, analyzes and reports the value of complex investments across portfolios. An integrated multicurrency G/L and automated workflow tools, including direct feeds with brokers/custodians, improve operational efficiency. The software supports a wide range of asset types and portfolio measurement methodologies. Combined with flexible, on-demand client reporting, FundCount brings speed, accuracy and analytical insight to your firm. Fund Manager is a portfolio management software available in personal, professional, or advisor versions for the individual investor, professional trader, or investment advisor. Misys FusionInvest is an all-in-one investment management system for portfolio management, risk management and investment operations. It delivers a simple solution for today's complex business challenges through its collaborative investment approach, unrivalled asset class coverage and world-class analytics framework. Advent SS&C Geneva global portfolio management and accounting platform empowers fund managers with instant, real-time performance, P&L, position and exposure information. GlobalBackOffice is a web-based offering for prime brokers, hedge funds, asset managers, day trading groups, family offices and other investment professionals. Over the years, Financial Information Network has worked with investment firms of all sizes. Full front-to-back solution that encapsulates the experience our team has accumulated on the buy side. We have run funds and have in-depth understanding of the challenges. iBalance platform provides intelligent and user-friendly management of the complexity inherent in tailor-made, tax-efficient portfolios that comply with established investment policies. InPrivate Software enables private equity businesses to manage investment processes and performance evaluations of their portfolios. Investment Account Manager is a desktop Windows based portfolio management software. In all 3 models the trader can manage his personal funds along with investors funds on pre-selected fee. All investors accounts are pooled together. Profits and losses are divided proportionally between investments. Investors copy the manager's transactions into their accounts and can close them at any time. They can also trade on their own account. Management tools for fund and professional managers providing flexibility in managing investors' accounts. A cloud-based alternative to an on-premise installation reduces costs, speeds up implementation time, and greatly simplifies ongoing operations. Hi there! Can I help you find the best Investment Portfolio Management solutions?